SANFORD, FL — A 17-year-old young man is dead and now local police are withholding the 911 tape from the family. The murder took place on Sunday, February 26 at the Retreat at Twins Lakes gated community in Sanford – about 20 miles north of Orlando. Mr. Trayvon Martin had been watching the NBA All-Star game and took a break to take a 10 minute walk to a convenience store to buy snacks. On his way back, Mr. Martin was spotted by “neighborhood watch captain” George Zimmerman, who called 911 to report a “suspicious person.” This is Euro-American [rent-a-] cop code for describing any and all “blacks.” Though the 911 dispatcher told Zimmerman to wait for police to arrive, he ignored the order and “confronted” Mr. Martin. Martin, minding his own business, likely brushed off Zimmerman as an annoying rent-a-cop, which prompted the 28-year-old Zimmerman to shoot Mr. Martin once in the chest, killing him instantly. Mr. Martin was unarmed, carrying only the bag of Skittles and can of Arizona Iced Tea he bought at the store. Zimmerman was arrested, but was released that same day after claiming “self-defense.” The family of Mr. Martin wants a copy of the 911 tape, however the Sanford Police have refused to oblige the simple Freedom of Information request, prompting the Martin family attorney to file a lawsuit. Watch a report from WESH 2 News in Orlando. Sanford Police told Mr. Martin’s family that Zimmerman was not arrested because they respected his background and he had no criminal record. But according to Orange County (FL) online court records, Zimmerman was in fact charged with felony assault on a police officer back in 2005. Despite these charges, Zimmerman was working as a self-anointed neighborhood watch “commander” apparently with permission to shoot and kill “suspicious” people. Sanford Police say they are not hiding the 911 tape, but say they cannot release it because it is part of an “ongoing investigation,” but also say the tape justifies the murder. Mr. Martin was active in sports and wanted to be a pilot after graduating high school. We will continue to follow this story and update when more information becomes available. Our thought are with the Martin family. The 911 tapes have been released. It is not necessary to play all of the tapes, as most of them are Euro-Americans talking about a “black” human being walking through “their” gated community. The tapes prove Sanford Police did in fact tell the killer, Zimmerman, to not engage or follow Mr. Martin. The only tape necessary to close this case for those with common sense and those not part of reinforcing and fueling the Maafa is the one following, which you hear Mr. Martin screaming for help. WARNING: the tape is very disturbing. The U.S. Department of Justice can only charge George Zimmerman with federal civil rights crimes, punishable by the death penalty, if they can prove the shooting was racially motivated. Well, here’s your proof. Ok, So lets start with why this case is all over the news, maybe because of race – baiters. First, poor journalism at best. Your heading at the top of the page says “Keeping U.S. Government and Media Honest ” yet you clearly use the term “Rent-A-Cop” (even though everyone knows that not the real case). Second you leave out so many facts in the case. Like the fact that so many 911 calls have martin beating Zimmerman and Zimmerman is screaming for help which nevers comes. Fact, Zimmerman NEVER called 911, he called the police non-emergency number. Nice try, awesome journalism. Okay, let’s look at some facts. Zimmerman called the police non-emergency number to report a “suspicious” person. What was suspicious about this kid? He was simply walking home by all reports, so we can be very sure that Zimmerman’s suspicion was because Martin was black. The police told Zimmerman to STOP following Martin and to back off. The police told Zimmerman to STOP following Martin and to back off. Zimmerman ignored that order and completely disregarded it. He continued following behind Martin in his car, and according to the police, made a comment “referencing Martin’s race,” and then he said “They always get away.” Really? Who is “they”? Zimmerman SAYS Martin tried to grab the gun, but we have no idea if that’s true or not. 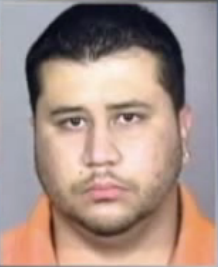 FACT: Zimmerman was previously charged in 2005 with assaulting a police officer. The charges were dropped for unknown reasons, but the police lied when they told Martin’s family that Zimmerman was “squeaky clean.” Neighbors have complained in the past about Zimmerman’s aggressive behavior, including trespassing on their property. We don’t know that any 911 calls have Martin beating Zimmerman with Zimmerman screaming for help, because they haven’t released the tapes. This whole thing stinks of racism from both Zimmerman and the police, and massive hypocrisy on the part of the police. What was suspicious about this kid? Maybe simply because he was not recognized as someone from the neighborhood? The “they” are people that are stalking around the neighborhood peering into peoples windows. “but the police lied when they told Martin’s family that Zimmerman was “squeaky clean.”” Maybe they didn’t “lie” maybe they simply didn’t know at that point. The neighbors have told police that Zimmerman was on the bottom getting his head pounded into the sidewalk and screaming for help. The only that stinks of racism is the “reporting” that everyone has read. If you can’t see that you should take off your rose colored glasses and be objective. 1) On news because of “race-baiters?” this is the first reason why you’re a Limbaugh. 2) “Rent-A-Cop” isn’t a real word for journalism but “race-baiter” is? 2nd reason why you’re a Limbaugh. 2) “martin beating Zimmerman”? yes, i notice you leave Martin’s name lower case while capitalizing Zimmerman. You obviously don’t want to acknowledge Martin as the man’s name. 3) “Martin was about to be armed”??? Wtf, I didn’t know you were there; geeze, you should be part of the investigation. But oh! you’re no one, writing limbaughs, contaminating the blogoshpere. 3rd and 4th reason why you’re a Limbaugh. 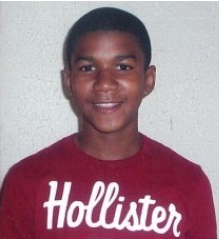 Now that one of the 911 tapes has been released you can clearly hear young Trayvon Martin creaming for HELP!!! The voice on the audio has been identified as Trayvon’s as this scared young kid screamed several times for his life! HELP! HELP! HELP! HELP! Gut wrenching, bone chilling screams! Noone came..!!! So much for those freaking racist bigots who choose to look the other way whilst calling the murder of a young innocent Black teenager “race baiting”… You guys are despicable. The only “race baiter” here is you.. That term isn’t a valid one, however one used ONLY by racists and xenophobes in an attempt to diminish the discrepancies and injustices directed toward people of color! Then a single gunshot echoes… then silence.. Trayvon Martin was silenced! A single gunshot from George Zimmerman’s gun to the chest of an innocent, unarmed kid! Zimmerman has been known to be overly aggressive by the residents of this community often trespassing on their property. Zimmerman was heard saying “they always get away”… so this prejudiced racist made it his “duty” that another one of “them” didn’t get away by immobilizing him forever to his grave!! TIE ZIMMERMAN TO THE ELECTRIC CHAIR… MAKE SURE HE DOESN’T GET AWAY!!. Charged does not equal convicted. The fact that he was legally carrying means he wasn’t convicted because felons can’t legally pack heat. Mr. Zimmerman must have friends in high places, or this is not racism but Anti-Kemetic behavior at its highest. To other races in this world Kemetic or Blacks are not even Hu-man. So to kill him is actually accepted, by the masses. Use your First Eye for just a minute, and think about how in almost every movie one or two blacks are killed first, almost like a ritual. It is now engraved in everyone’s psyche that it is OK to kill Black men. tiffany, the crazy part is that zimmerman is not a police officer, just the captain of the neighborhood watch. looks like the neighborhood should have been watching him!